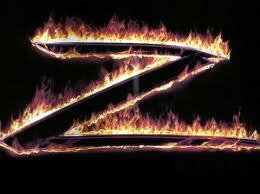 Another few years have gone yet another Zorro film. But this time, it won’t be the Antonio Banderas Zorro directed by Martin Campbell. It won’t even be the same story for the most part or same time period. Basically just forget everything we have learned from the past about Zorro and let us begin a new with “Zorro Reborn” which is what this upcoming project is being called. So forget about the Zorro or Don Diego de la Vega (his real name) as you know with the swords and the western type setting. Instead, picture Zorro way in the future. A future that is a post apocalyptic backdrop with Zorro fighting for justice. Interesting concept right? The movie will be directed by Rpin Suwannath, a previsualization specialist who worked on a number of the “X-Men,” “Matrix” and “Chronicles of Narnia” movies. The “Zorro Reborn” script has been written by Lee Shipman and Brian McGreevy, the screenwriters behind the Dracula reboot “Harker” at Warner Bros. So with this information, I really have no idea what to think. I guess it could be cool if was like a “Book of Eli” or “Mad Max” type of thing, but who knows. They should just remake “ZORRO: THE GAY BLADE”!!! This entry was posted on Wednesday, April 27th, 2011 at 2:16 pm	and is filed under Film, News. You can follow any responses to this entry through the RSS 2.0 feed. You can skip to the end and leave a response. Pinging is currently not allowed. « Tarsem Singh’s “Immortals” Film Gets A Trailer!!! !